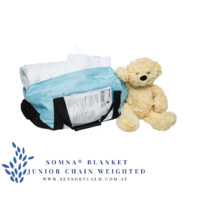 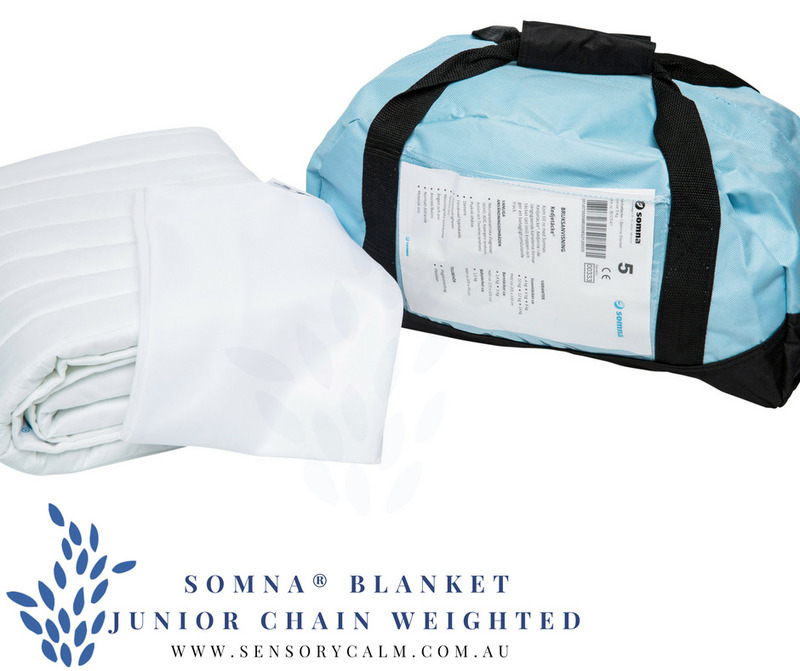 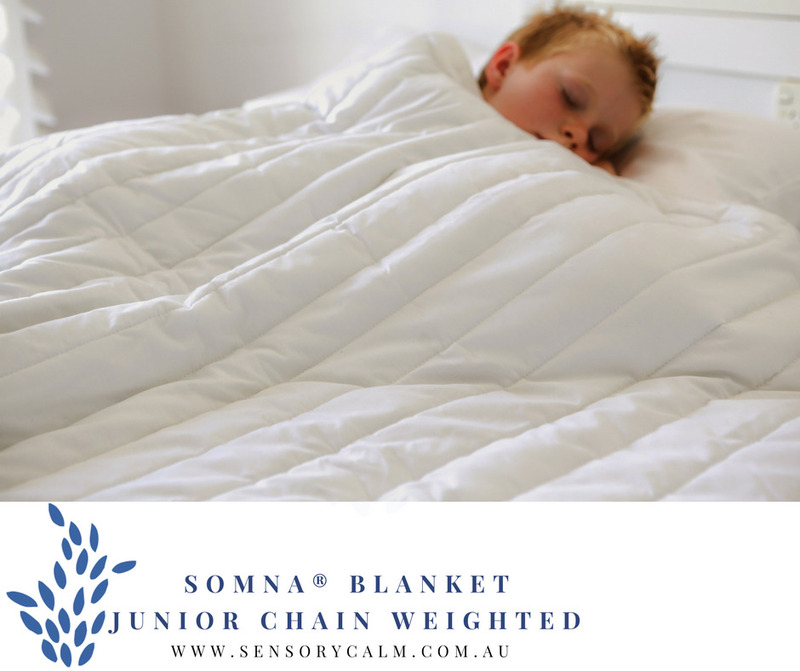 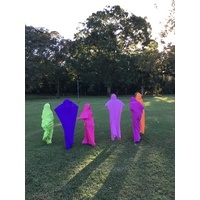 Receive a free 1kg Shoulder Wrap with every Somna Junior Blanket purchase. 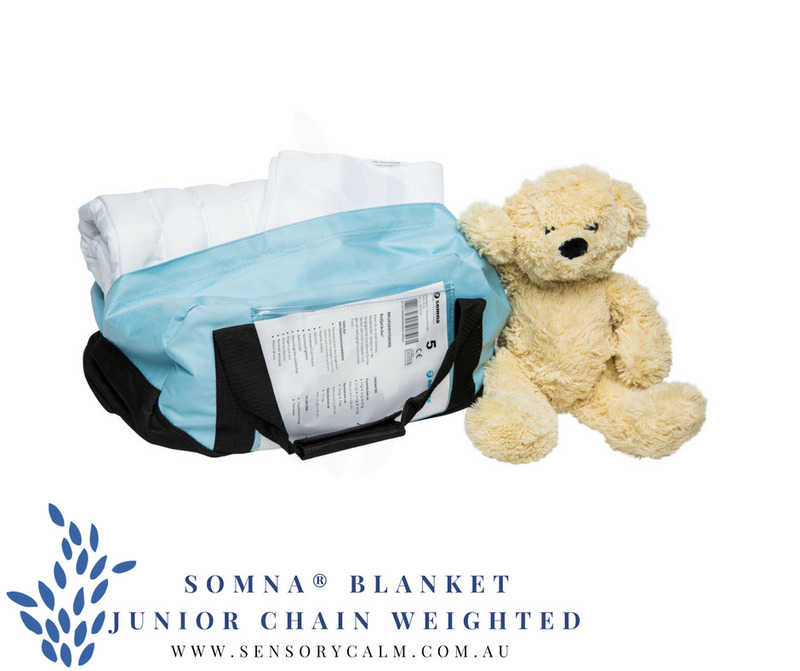 Measurements suitable for an cot size bed and fits a cot size quilt cover. 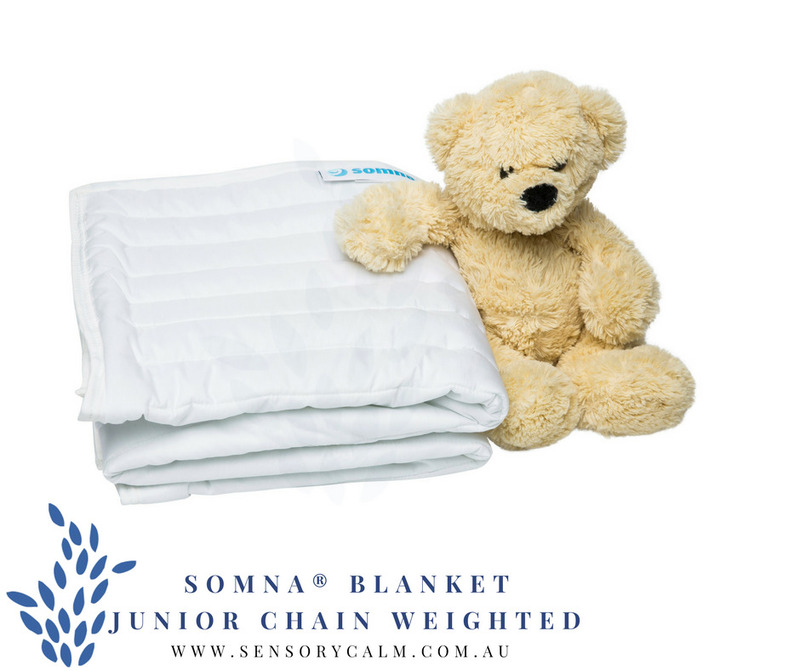 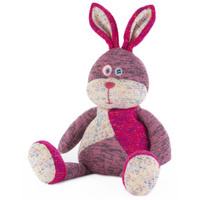 Suitable for 1 year and up to 3 years depending on the level of restlessness or anxiety experienced. 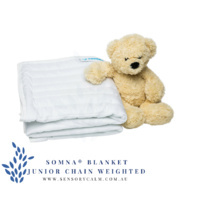 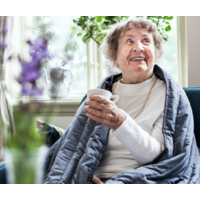 TGA & CE Approved with 1 year guarantee and 1 month money back guarantee. 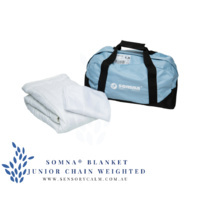 Fully machine washable on a 60 degree gentle cycle in the wash bag provided. 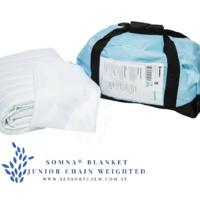 Manufactured in fire retardant material, Trevira and meets NT Fire 037 standard and is nickel and allergen free. 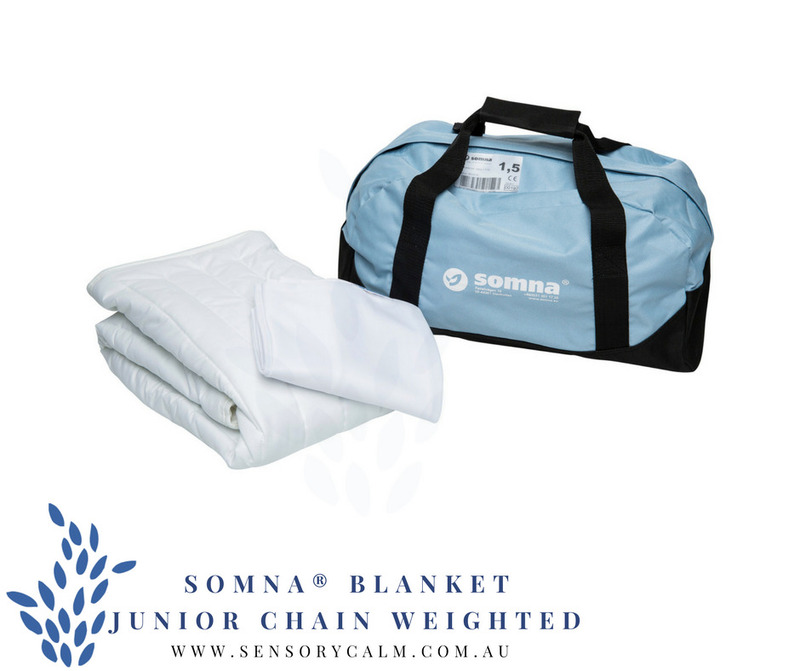 There are two sides for varied tactile stimulation and it comes with a compact travel bag for ease of transport.